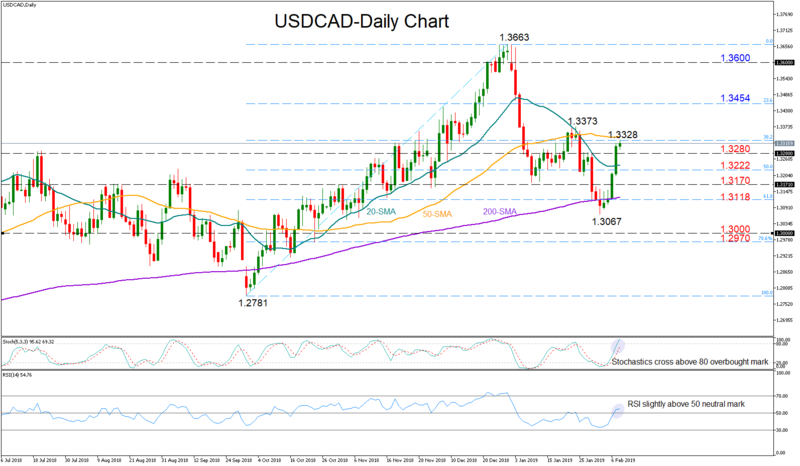 USDCAD has maintained bullish momentum for the fifth consecutive trading day, reaching two-week highs at 1.3328 on Friday. In the short-term, the RSI is signaling further improvement as the indicator is rising above its 50 neutral mark. Yet with the fast stochastics rising towards the overbought threshold of 80, downside corrections cannot be ruled out. In the medium-term, USDCAD continues to hold a neutral outlook as long as it holds within the 1.3663-1.30 region.